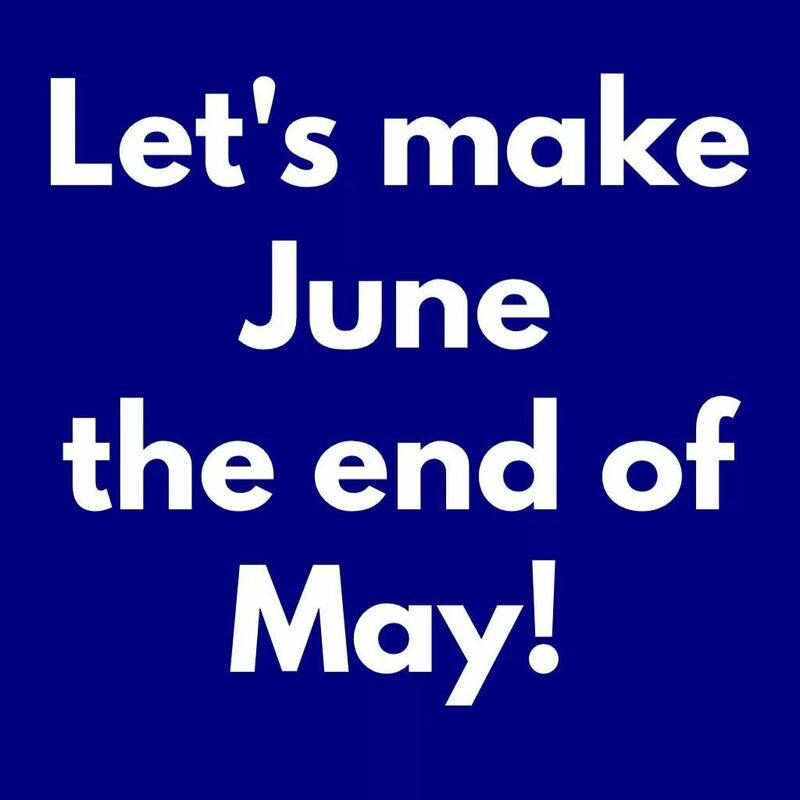 Unlike Theresa May’s more widely-publicised u-turn on whether to put a cap on payments towards in-home social care, you can believe the Tories will stick to this u-turn – it’s a back-hander for their friends. Under David Cameron the Conservatives had pledged – along with other UK political parties – to put into place a ban on ivory trading. This follows bans by China, the US and other important ivory trading countries to end domestic trades in ivory by the end of 2017. But there is no mention of the ban in Theresa May’s Tory 2017 manifesto. Sneakily, the Tories have decided to DROP their previous commitment to introducing a total ban on ivory trade in Britain. 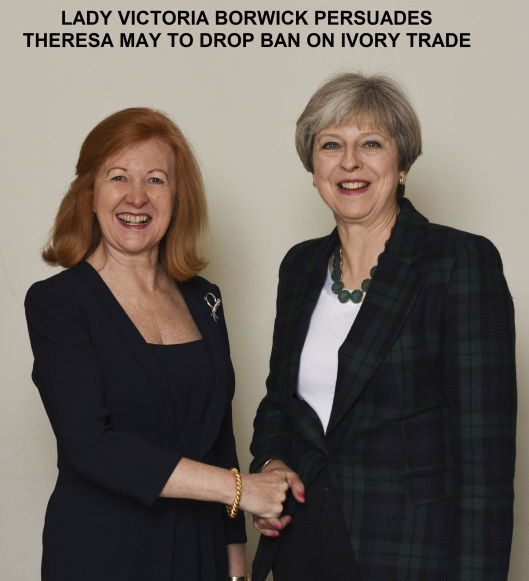 This comes after heavy pressure from wealthy antiques traders who have been lobbying Teresa May hard to drop the ban on ivory. The most powerful UK antique traders association is the British Antique Dealers’ Association – whose president is Tory MP and pal of Theresa May, Lady Victoria Borwick. The dementia u turn language is the same as that of Ian Duncan Smith when he said benefit reforms would be worked out after the 2010 and 2015 election. And benefits would go to those that most needed it. This “most needed it” was then left to LA (fettered) policy (with steer from IDS social cleansing agenda) to make sure that no one was included in this loose definition. The gullible voters didn’t understand the evil consequences of this. The Tories are now hoping the voters will not realise the full horror of this policy re-run. God help us ! So we have another titled gentry selfishly and quietly looking after self interests and profit and go screw the elephants and Royalty trying to save them.. This lobbying has got to stop it’s getting like corrupt USA where Lobbyist acting for commercial interests over rule any green, conservation, health,issue that comes along that reduces their power and profit. It is so bad GM producers have even prevented cereal manaufacturers and the like from putting GM labels on their food. So GM food is so good for consumers that they lobbied no one should label GM content in basic food. Now that is pure power made worse by got at corrupt politicians who are allowing such a state of affairs by going along with powerful commercial lobbyists with little thought of alternative science and data and allegedly the GMs own secret data.. Well done, good work Lady Borewick, friend of Mother T, and probably as we speak a generous BADA donatIion is winging its way to Tory funds. Elephants and poacher guards are dying to save these animals meanwhile a bunch of greedy antique wheeler dealers can only think of their profit being reduced. That my friends is exactly how the Tory world goes around….unless you vote to stop them. Hmmm quietly culling their own stock under the guise of action t4 through benefits denial they now quietly allow the rich antique dealers to now dictate that ivory ok to deal in.